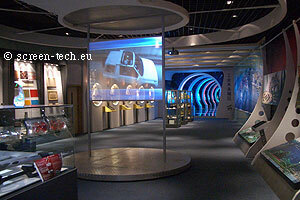 ST-Pro-Trans holoscreen is a transparent plexiglas display, holographics, clarity clear projection screens made of high quality cast acrylic glass. 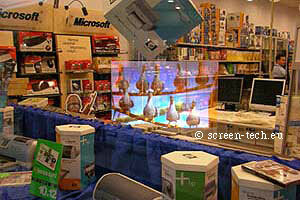 The projection is viewable from both sides, but preferably for rear projection. 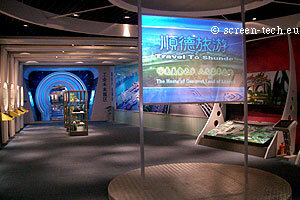 The image is created inside of the acrylic glass rear projection screen and is scattered uniformly in all directions by implemented polymers. 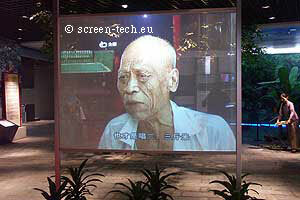 The rear projection screen is free of any structure, wrinkles and sparkle (scintillation). Fade resistant, odor-free, wet cleaning, sturdy. Preserves polarization and allows passive 3D projection without "ghosting". 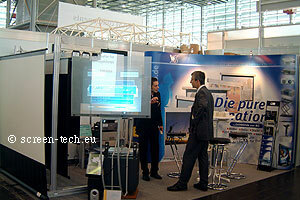 Holographics screens for transparent showy image.